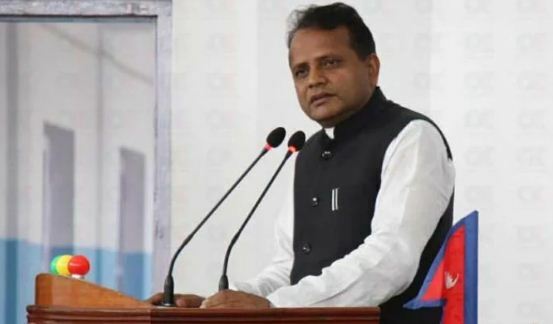 Lahan – Province-2 Chief Minister Lalbabu Raut said development and construction works would take momentum in the Province following enactment of the bills tabled by the Province Government to the State Assembly. At a programme held at Chikana Bazaar in Kalyanpur municipality of Siraha on Tuesday, Chief Minister Raut said the Province government has introduced several acts including Employees Contract Act and Police Act. Development works are not getting effective with the federal government’s inability to send necessary employees to the province, he said, adding that the Province government would establish its police administration if the federal government did not hand over the police administration to the province government. Deliberations on the Police Act have already initiated so it would believably be endorsed this week, he said, adding, the official process for establishing province police would begin once the Bill is enacted. On the occasion, Chief Minister Raut welcomed the new entrants to his party, Federal Socialist Forum Nepal, from other parties including Communist Party of Nepal, Congress and Rastriya Janata Party. Meanwhile, an unidentified group had pelted stones at the vehicle last night wherein Siraha’s Karjanho Municipality Mayor Ganga Paswan was travelling to. The group smashed screens of the Scorpio Van (Na 1 Jha 1639) while Mayor Paswan was about to move outside from his office after completing the municipality’s council meeting, said the Area Police Office, Mirchaiya. Mayor Paswan said it was an organized attack meant for taking his life.